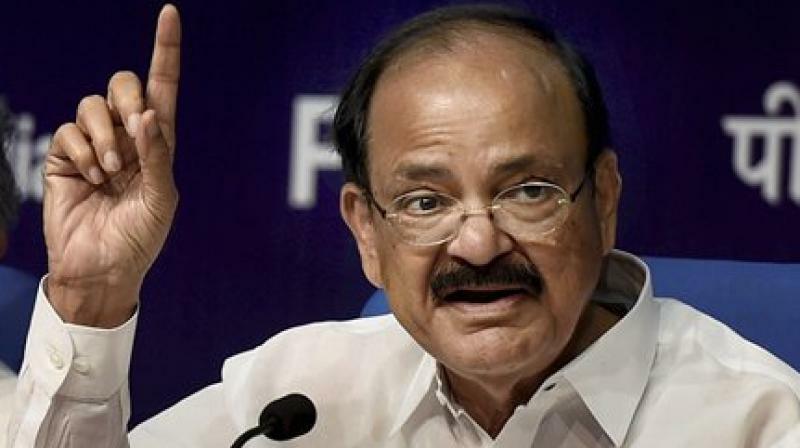 Information and Broadcasting Minister M Venkaiah Naidu has said that Indian broadcasting is at threshold of entering into a new era of digital broadcasting largely driven by digitization and Internet usage. He was speaking at a seminar on Digital Broadcasting in India on the occasion of Telecom Regulatory Authority of India, TRAI’s anniversary in New Delhi today. Mr Naidu said, consumers are now experiencing benefits of digital services as the government has completed digitization of Cable TV networks. 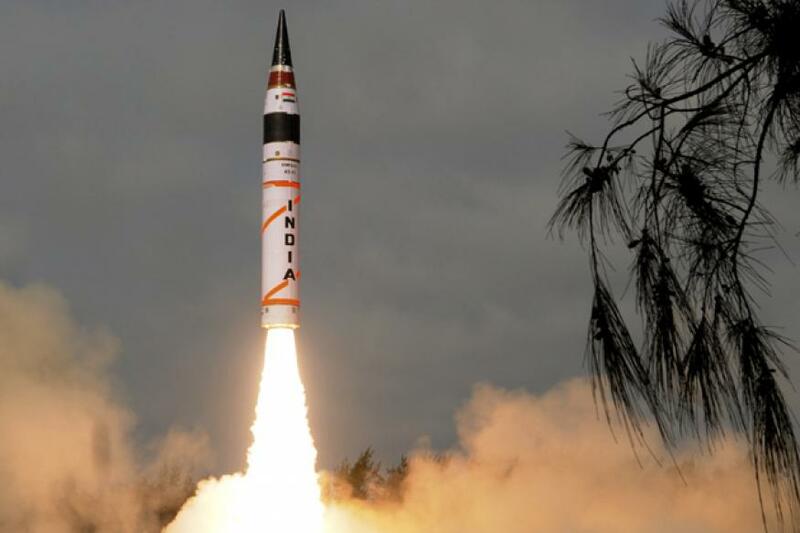 India’s nuclear-capable, surface-to-surface Agni-II ballistic missile, was today test-fired from the Wheeler Island, off Odisha coast today. 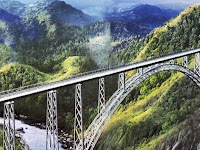 It has a strike range of two thousand kilometres. Defence sources said the test was aimed at re-establishing the operational effectiveness of the weapon system. The successful launch once again proved reliability of the medium range surface to surface missile. The missile can carry a nuclear payload of one thousand kilogram. Union Urban Development Minister M. Venkaiah Naidu has announced the Cleanest Cities in the Country and the fastest moving cities on sanitation ladder under Swachh Sarvekshan-2017. Indore has been adjudged as the cleanest city in India while Gonda in Uttar Pradesh has been ranked as the dirtiest city among surveyed. In total, 434 cities and towns with a population of one lakh and above were surveyed. Last year survey had surveyed only 73 cities with a population of 10 lakh and above. 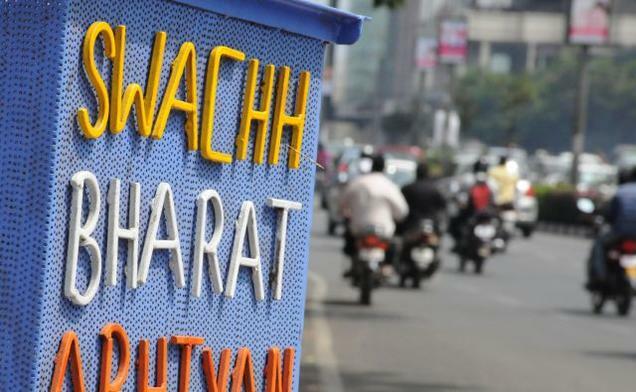 Cities and towns in West Bengal did not take part in the survey as the Mamata Banerjee government did not participate in the Swachh Survekshan. 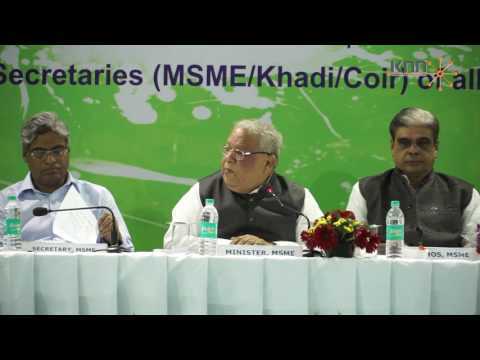 The Cabinet Committee on Economic Affairs (CCEA), chaired by the Prime Minister Narendra Modi, on 3 May 2017 approval the re-structuring the schemes of Union Ministry of Food Processing Industries (MoFPI) under Central Sector Scheme SAMPADA. SAMPADA stands for‘Scheme for Agro-Marine Processing and Development of Agro-Processing Clusters’.The objective of SAMPADA is to supplement agriculture, modernize processing and decrease agri-waste. The scheme was approved for the period 2016- 2020. The Assam government will provide Rs 5000 each to five lakh ‘divyangs’ for their development. 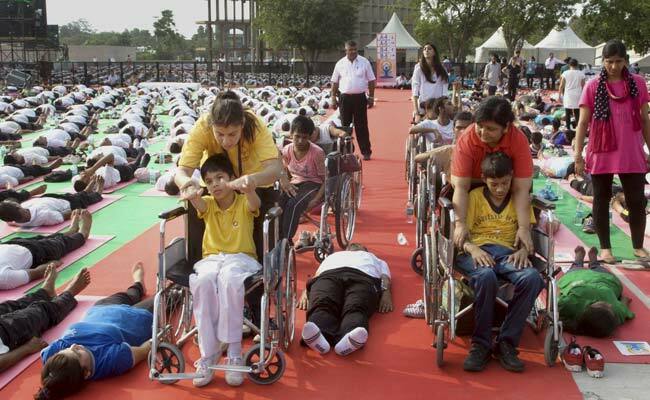 As per the 2011 census, there are 68 thousand divyangs in the state. According to the Deputy Director of Social Welfare department Naba Kumar Tamuli,a survey is being conducted to know the exact number of divyangs in the state. 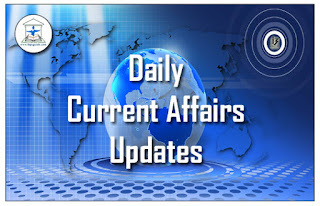 The Union Cabinet chaired by the Prime Minister Narendra Modi on 3 May 2017 approved modifications in the recommendations of 7th CPC (Central Pay Commission) on pay and pensionary benefits in the course of their implementation. 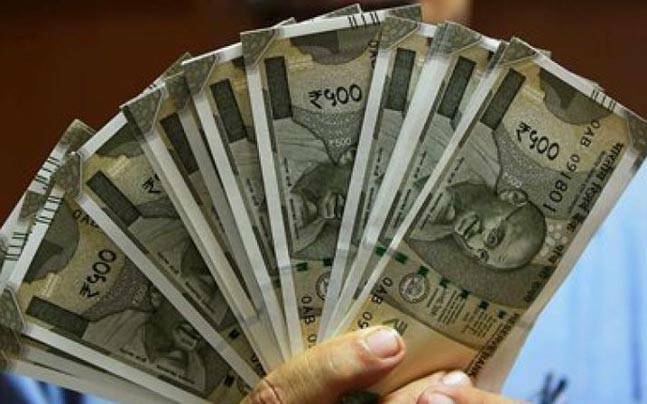 Earlier, in June 2016, the Union Cabinet had approved implementation of the recommendations of 7th Pay Commission with an additional financial expenditure of Rs 84933 crore for 2016-17 including the arrears for 2 months of 2015-16. The commission, headed by Justice AK Mathur, submitted its report to the Union Finance Minister Arun Jaitley on 19 November 2015. Odisha’s Sualgiri and Swalgiri communities in the first week of May 2017 were notified as Scheduled Castes following President Pranab Mukherjee’s assent to a new law. 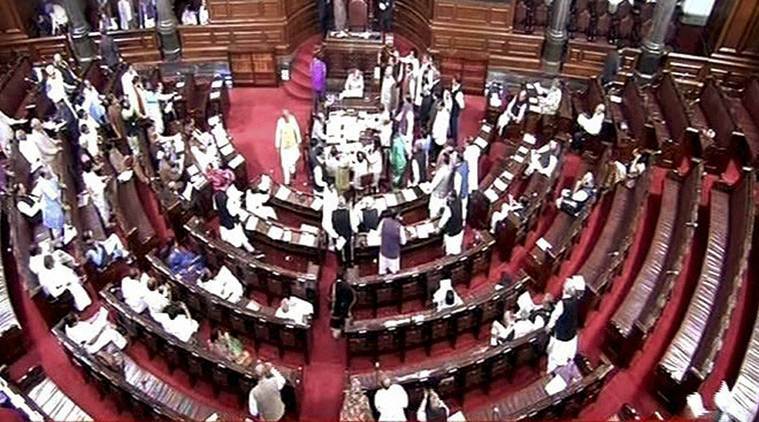 The Rajya Sabha in April 2017 had passed the bill on it after it was cleared by the Lok Sabha in March 2017. President Mukherjee gave the nod to the Constitution (Scheduled Castes) Order (Amendment) Act, 2017, on 28 April 2017. A group of archaeologists discovered the remains of a nearly 4000 year old model garden outside a tomb in the ancientEgyptian capital of Thebes,today known as Luxor. The discovery was made by a Spanish team in theDraa Abul Nagaa necropolisacross the Nile from the modern-day city of Luxor. The Draa Abul Naga necropolis lies near the Valley of the Kings, where many of the pharaohs, including Tutankhamun, were buried. 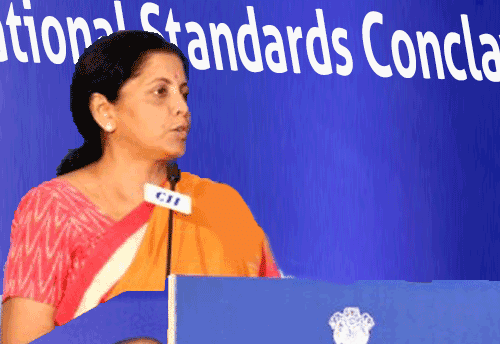 Department of Commerce, Government of India in collaboration with Confederation of Indian Industry (CII), Bureau of Indian Standards (BIS) and the National Accreditation Board for Certification Bodies (NABCB) has organized the 4th National Standards Conclave on 1-2 May 2017 at New Delhi. The objective of the two-day Conclave was to bring awareness and prepare Industries, Central Government Ministries, State Governments, regulatory/standards-setting and conformity assessment bodies on the growing importance of “Standards” in the changing scenario of global trade. 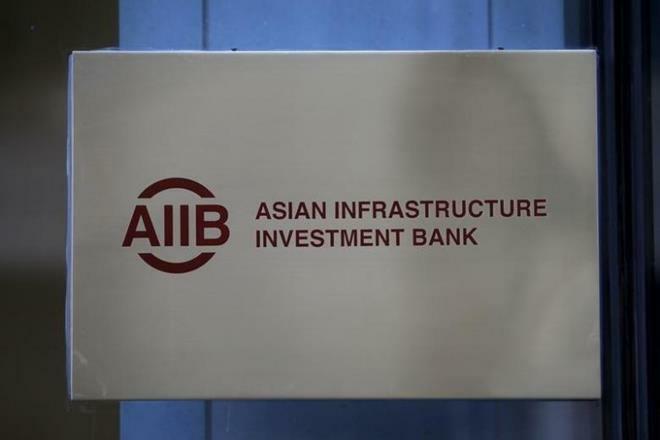 The Asian Infrastructure Investment Bank (AIIB) has approved $ 160 million loans for a power project in Andhra Pradesh. It is the first credit from the bank for an Indian project. It has been approved the project with the objective to strengthen the power transmission and distribution system in Andhra Pradesh. 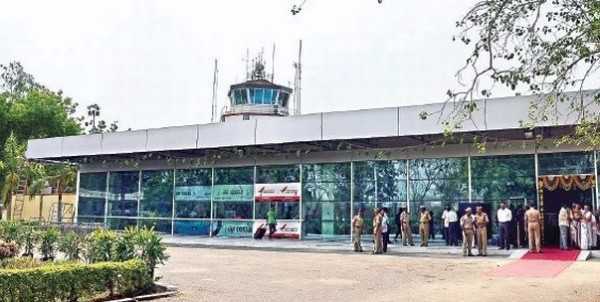 The Union Cabinet led by Prime Minister Narendra Modi on 3 May 2017 approved the declaration of Vijayawada Airport as International Airport, as per the provisions of Andhra Pradesh Reorganisation Act, 2014. The move will help enhance connectivity to the State capital. It will also expand the choice of services for the air travellers and that too at competitive costs. This will encourage more international passengers to visit the city thereby, boosting domestic and international tourism and the socio-economic development of Andhra Pradesh. 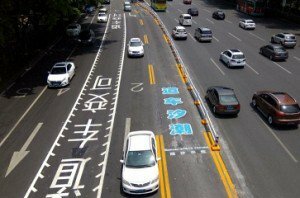 Traffic police in China’s Shenzhen has debuted a new ‘lane robot’, the first of its kind in the country, which helps administer rush-hour traffic by controlling a section of reversible lanes. The lane robot, which reduces the workload of police, is a guard rail that moves to alter the flow of traffic into different lanes in less than a minute. 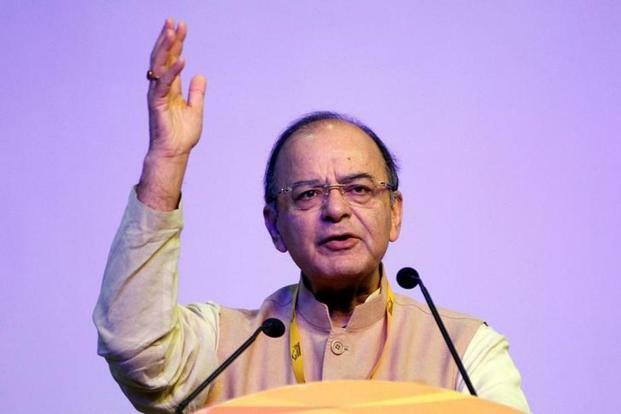 The Union Cabinet approved a new framework for dealing non-performing assets (NPAs) in the banking system, details will be announced after President Pranab Mukherjee gives his assent to an ordinance to amend the Banking Regulation Act to resolve the Non Performing Assets crisis. The set of measures includes the promulgation of an Ordinance to amend the Banking Regulation Act to give more powers to Reserve Bank of India and its committees to act on behalf of banks while deciding on NPAs. According to a UN report, the economic growth for India is projected to be stable at 7.1% in 2017 before edging up to 7.5% in 2018. The UN Economic and Social Commission for Asia and the Pacific(ESCAP) has launched its annual flagship report ‘The Economic and Social Survey of Asia and the Pacific 2017’. Chinese scientists have invented a new test that can diagnose multiple kinds of cancer by analysing just a drop of human blood. Researchers at Tsinghua University’s School of Life Sciences developed the reagent test kit of Hsp90a protein for clinical use. They had earlier identified a kind of heat shock proteins which exists in human bodies and can be used as a cancer biomarker. 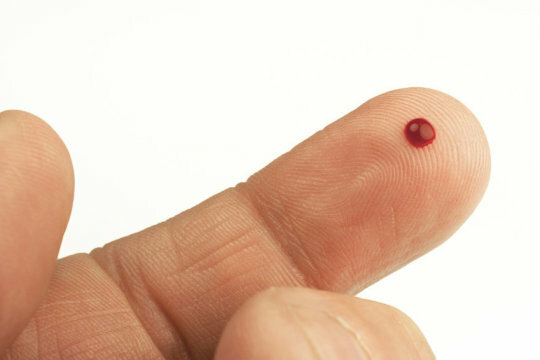 The test kit was used in clinical trials at eight hospitals in China. It was the first clinical trial in the world to test if the protein could be a useful tumour biomarker for lung cancer, and it succeeded. The kit has now been certified to enter the Chinese and European markets. 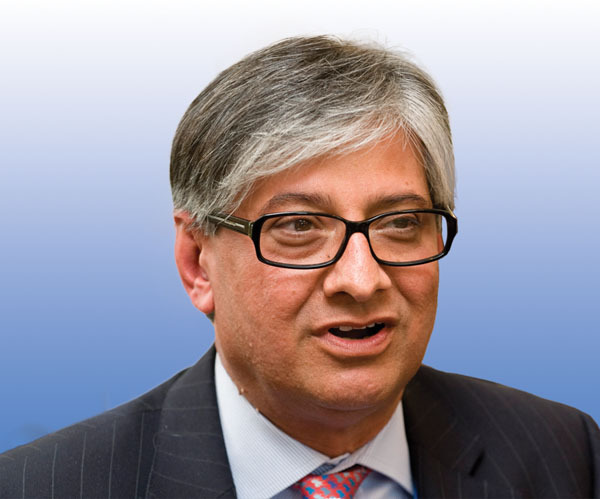 Chairman of Nicco group and past president of Confederation of Indian Industry (CII), Rajive Kaul was conferred with the Order of Diplomatic Service Merit Sungnye Medal of the Republic of Korea for his services rendered as honorary consul general of South Korea in Kolkata. The award was conferred by the acting President and Prime Minister of South Korea Hwang Kyo-ahn at a programme in New Delhi recently. 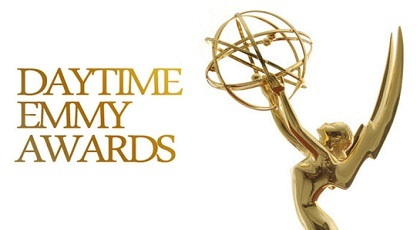 The National Academy of Television Arts& Sciences (NATAS) has announced the winners of the 44th Annual Daytime Emmy Awards held in California, USA. ii. The NATAS is a professional service organization dedicated to the advancement of the arts and sciences of television and the promotion of creative leadership for artistic, educational and technical achievements within the television industry. 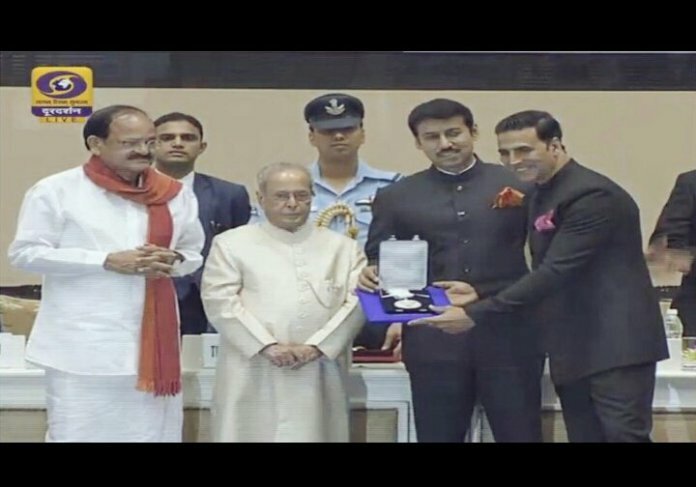 Akshay Kumar on Wednesday received his first National Award after being presented the Best Actor Award for ‘Rustom’ at the 64th National Film Awards. Surbhi CM was given the Best Actress Award for Malayalam film ‘Minnaminungu’ while Sonam Kapoor accepted the Special Mention Award for ‘Neerja’. Zaira Wasim received the Best Supporting Actor award for her role in ‘Dangal’. Indian boxers Shiva Thapa (60 kg), Sumit Sangwan (91 kg) and Amit Phangal (49 kg) assured India of a medal each after entering the semi-finals of their respective weight categories at the Asian Boxing Championship on Wednesday. 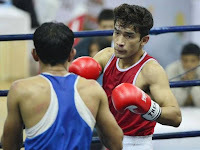 The trio also qualified for the World Championships which will be held in Hamburg, Germany, from August 25 to September 3. Young Indian shooter Shapath Bharadwaj reached his first ever ISSF World Cup stage Final after finishing fourth following a shoot-off in the men’s double trap event at Larnaka in Cyprus. Shapath was one of four shooters to finish with a score of 135.